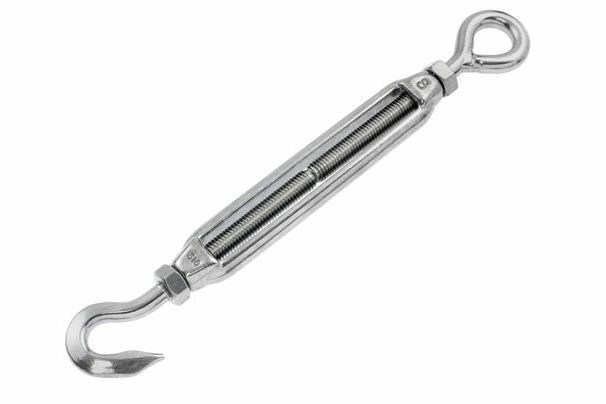 6mm 316 stainless steel hook & eye turnbuckle. Available in eye/eye & hook/hook as well. Check out all the other fittings in our store. Other sizes available as well. If you need a quote send us a email with your requirements.